The dominance of Western cities is being challenged by up and coming centres in India, China, Brazil and Russia, according to a Citi-Knight Frank Global Cities Survey. This year's survey reveals 14 cities sliding down the rankings and 16 moving up. The biggest movements were seen in the Economic Activity category. The ongoing West-to-East shift in economic might is obvious by the fact that eight of the 13 jumps in this area were by Asian cities, led by Shanghai and Kuala Lumpur. Among the Western cities, Munich's rise points to the new confidence in Germany that its star has been rising strongly during the Euro crisis. The main cities to watch out for in the coming decade are Mumbai, Moscow and Sao Paulo. 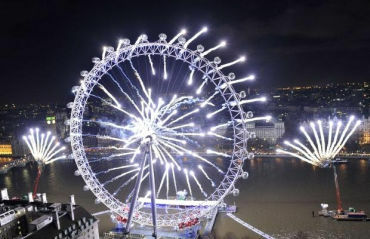 They look set for a dramatic upswing in their status, with each expected to climb by between six and eight places over the next decade, the report said. Image: Main cities to watch are Mumbai, Moscow and Sao Paulo. 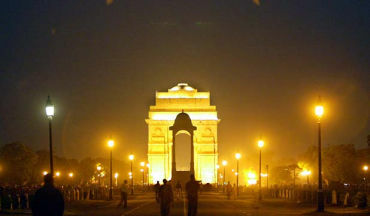 The 2011 Wealth Report has ranked economic activity in New Delhi at 39, but overall the capital is ranked at 37, above cities like Jakarta and Johannesburg. High net-worth individuals and ultra-high net-worth customers surveyed by the Wealth Report expect New Delhi to move up in the ranks in the next 10 years' time. Overall ranking of New Delhi: 37. Image: New Delhi is projected to move up in the rank. 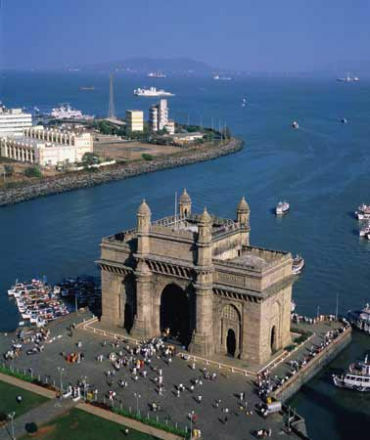 Although Mumbai has been ranked ahead of New Delhi in economic activity, it falls behind when other factors such as political power and quality of life is considered. According to the survey, the overall winners this year are a diverse grouping, with Boston, Munich, Milan, Mumbai and Rio de Janeiro among the biggest climbers. The three biggest winners point to a rebalancing within the Brazil, Russia, India and China grouping, with the main cities to watch being Mumbai, Moscow and Sao Paulo. They look set for a dramatic upswing in their status, with each expected to climb by between six and eight places over the next decade. Click NEXT to see which cities made it to the Top 20 . . . Image: Overall, Mumbai is ranked behind New Delhi. At the top of the table, there is no change from 2010 New York still holds the number one position. And it is unlikely that the top position is going to change in the next 10 years. 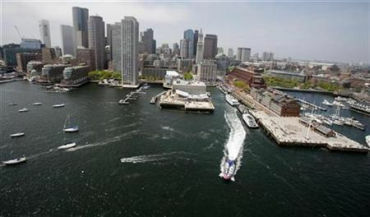 A gateway for immigration to the United States, New York ranks high among the most livable cities. 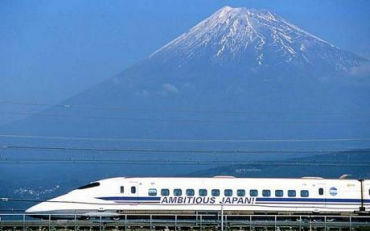 It is also a major tourist destination. Image: New York sits comfortably at number one. London, Hong Kong and Singapore markets have followed a volatile path, with rents dropping sharply in 2008-09, but subsequently rebounding strongly. In the midst of economic tumult, the resilience shown by the world's most exclusive residential property destinations remains constant. In some cases, it has even been enhanced. London's ranking may raise a few eyebrows. However, arrival at London's refurbished St Pancras station or to Heathrow's Terminal Five shows that London has invested. London's recovery has been aided to a large extent by the affordability that sterling's weakness offers international buyers. Image: Sterling's weakness has helped London. While Asia continues to dominate in terms of activity and price performance, the real success stories in 2010 confirm the advantages of a global brand and a diversity of demand requirements. 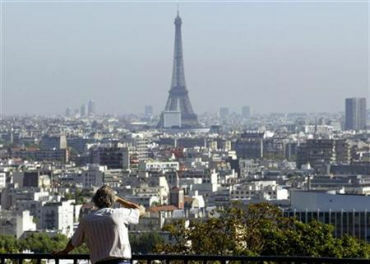 Paris has seen strong demand, and reasonably robust price growth. Image: Brand Paris remains a strong currency. Tokyo has been described by Saskia Sassen as one of the three 'command centres' for the world economy, along with New York City and London. This city is considered an alpha+ world city, listed by the GaWC's 2008 inventory and ranked third among global cities by Foreign Policy's 2010 Global Cities Index. In 2010, Tokyo was named the second most expensive city for expatriate employees, according to the Mercer and Economist Intelligence Unit cost-of-living surveys, and named the fourth Most Liveable City and the World's Most Livable Megalopolis by the magazine Monocle. Image: Tokyo is one of three command centres of global economy. The modern, private enterprise economy of Brussels has capitalised on its central geographic location, highly developed transport network and diversified industrial and commercial base. The first country to undergo an industrial revolution on the continent of Europe in the early 19th century, Belgium developed an excellent transportation infrastructure of ports, canals, railways and highways to integrate its industry with that of its neighbours. Image: Location has helped Brussels. The economy of Los Angeles is driven by international trade, entertainment (television, motion pictures, video games, and recorded music), aerospace, technology, petroleum, fashion, apparel, and tourism. 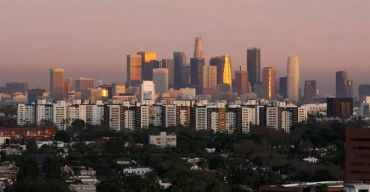 Los Angeles is also the largest manufacturing centre in the western United States. Image: Los Angeles is a large manufacturing centre. Singapore has a highly developed market-based economy. Along with Hong Kong, South Korea and Taiwan, Singapore is one of the four Asian Tigers. The economy depends heavily on exports and refining imported goods, especially in manufacturing, which constituted 26 per cent of Singapore's GDP in 2005 and includes significant electronics, petroleum refining, chemicals, mechanical engineering and biomedical sciences sectors. Image: Singapore is one of the Four Asian Tigers. Beijing is amongst the most developed cities in China with tertiary industry accounting for 73.2 per cent of its GDP; it was the first post industrial city in mainland China. Finance is one of the most important industries of Beijing. By the end of 2007, there were 751 financial organizations in Beijing that generated revenue accounting for 11.6 per cent of the total financial industry revenue of the entire country. It also accounts for 13.8 per cent of Beijing's GDP, the highest percentage of that of all Chinese cities. Beijing is home to 26 Fortune Global 500 companies, the third most in the world behind Tokyo and Paris. Image: Finance is a top industry in Beijing. Toronto is a major international centre for business and finance. Generally considered the financial capital of Canada, Toronto has a high concentration of banks and brokerage firms on Bay Street, in the Financial District. The Toronto Stock Exchange is the world's eighth-largest stock exchange by market capitalization. All the Big Five banks of Canada are headquartered in Toronto, as are a majority of Canada's corporations. 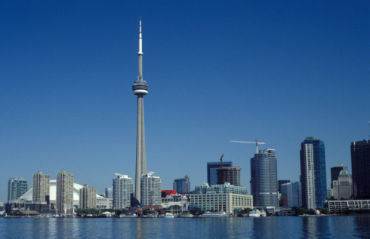 Image: Toronto is the financial capital of Canada. Berlin's economy is dominated by the service sector; around 80 per cent of all companies are operating in this field. 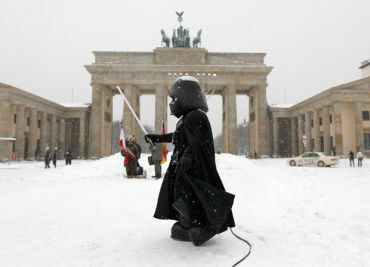 Image: Service sector dominates Berlin's economy. Chicago has the third-largest gross metropolitan product in the United States -- about $506 billion according to 2007 estimates. The city has also been rated as having the most balanced economy in the United States, due to its high level of diversification. Chicago was named the fourth most important business centre in the world in the MasterCard Worldwide Centers of Commerce Index. 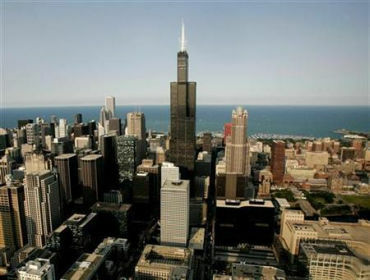 Additionally, the Chicago metropolitan area recorded the greatest number of new or expanded corporate facilities in the United States for six out of the seven years from 2001 to 2008. Image: Chicago is a big financial centre. Washington, DC, has a growing, diversified economy with an increasing percentage of professional and business service jobs. However, overall, Washington scores well. The gross state product of Washington in 2008 was $97.2 billion, which would rank it No. 35 compared to the 50 US states. 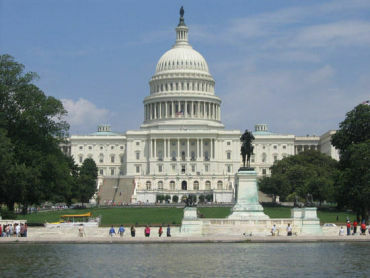 In 2008, the federal government accounted for about 27 per cent of the jobs in Washington, DC. This is thought to immunize Washington to national economic downturns because the federal government continues operations even during recessions. Image: Washington, DC has a diversified economy. As the headquarters for Samsung, LG, Hyundai and Kia, Seoul has become a major business hub. 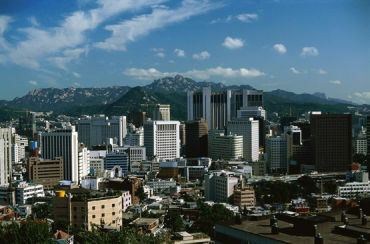 Although it accounts for only 0.6 per cent of South Korea's land area, Seoul generates 21 per cent of the country's GDP. Image: Seoul is a major business hub. Frankfurt is one of the leading financial centres in Europe. 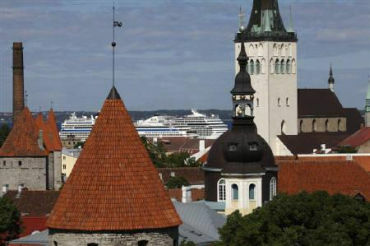 According to an annual study by Cushman & Wakefield, it is one of the top three cities for international companies in Europe, along with London and Paris. According to a ranking list produced by the University of Liverpool, Frankfurt is the richest city in Europe by GDP per capita. The Mercer Human Resource Consulting Worldwide Quality of Living Survey 2007 ranked Frankfurt at the seventh position of the cities with the highest quality of life worldwide. 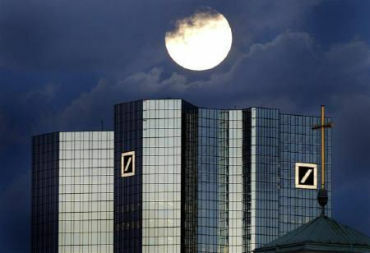 Image: Frankfurt is a leading financial centre. As the financial and economic hub of Australia, Sydney has grown to become a wealthy and prosperous city. The largest economic sectors in Sydney, as measured by the number of people employed, include property and business services, retail, manufacturing, and health and community services. 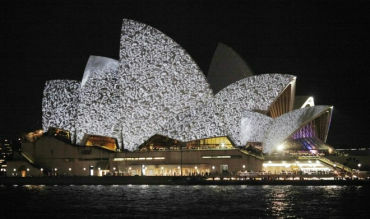 Image: Sydney is a wealthy and prosperous city. Tourism is the backbone of the San Francisco economy. 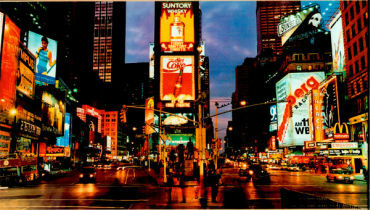 Its frequent portrayal in music, film and popular culture has made the city and its landmarks recognizable worldwide. 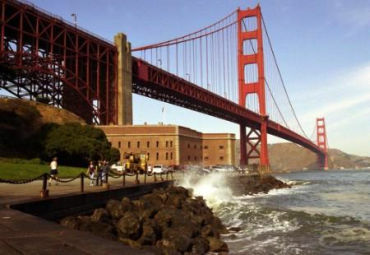 San Francisco attracts the third-highest number of foreign tourists of any city in the US. Image: Tourism is San Francisco's backbone. As one of the world's leading international financial centres, Hong Kong has a major capitalist service economy characterised by low taxation and free trade, and the currency, Hong Kong dollar, is the ninth most-traded currency in the world. It maintains a highly developed capitalist economy, ranked the freest in the world by the Index of Economic Freedom for 15 consecutive years. 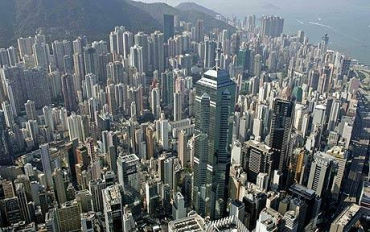 Image: Hong Kong has a highly developed capitalist economy. Shanghai is the commercial and financial centre of mainland China. Shanghai is one of the most prosperous cities in the world. Its cosmopolitan character, sophisticated and affluent consumers and highly educated skilled labour force make it highly attractive to overseas investors. Shanghai has recorded double-digit growth for 15 consecutive years since 1992 to become the centre of finance and trade in China. 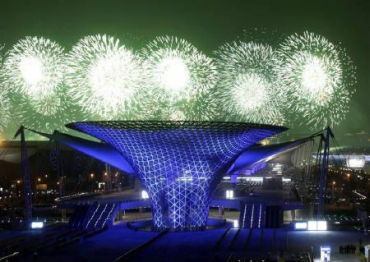 Image: Shanghai is one of the most prosperous cities in the world. Mexico City is one of the most important economic hubs in Latin America. 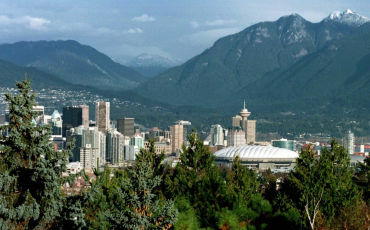 The city proper produces 21.8 per cent of the country's gross domestic product. According to a study conducted by PricewaterhouseCoopers, Mexico City had a GDP of $390 billion, ranking as the eighth richest city in the world after the greater areas of Tokyo, New York, Los Angeles, Chicago, Paris, London and Osaka/Kobe, and the richest in Latin America. Mexico City is the 30th largest economy in the world. Image: Mexico City is a major economic hub. 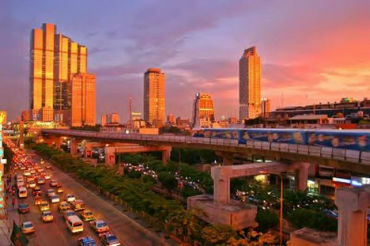 Bangkok is the economic centre of Thailand, dominating the country's economy and dwarfing any other urban centres. It is ranked as the 54th richest urban agglomeration, slightly behind Singapore and Metro Manila. 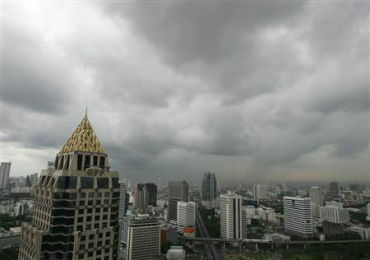 Image: Bangkok dwarfs other Thai cities.